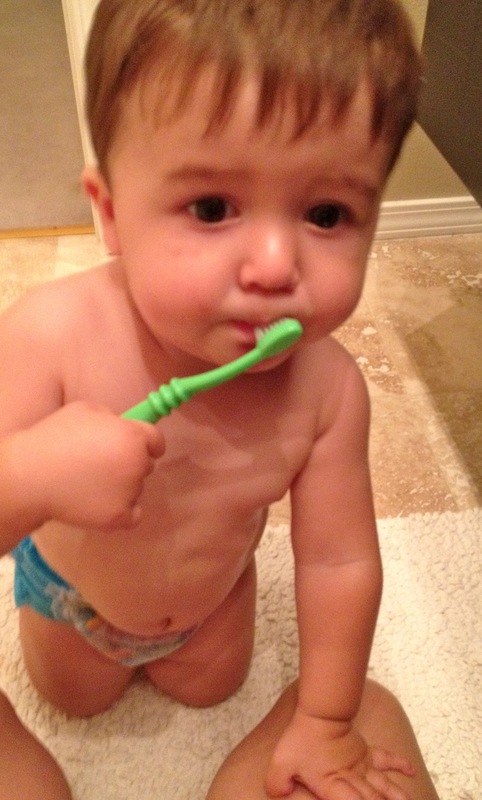 Someone loves brushing his teeth. 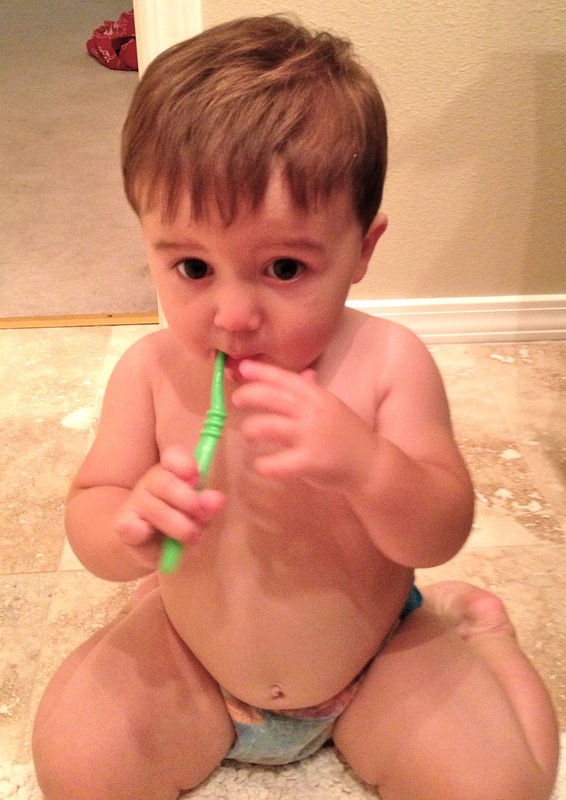 Well, at least he loves the taste of the toothpaste. I try to brush Max's teefers when I am brushing my own. I think he is finding the similarity. I don't however think I am doing a very good job. He has 6 teeth and I think I may hit one with the toothbrush. Good habits start early right?